Children take joy in everything they do and that includes chores, here is a list of chores suitable for children of different age group. 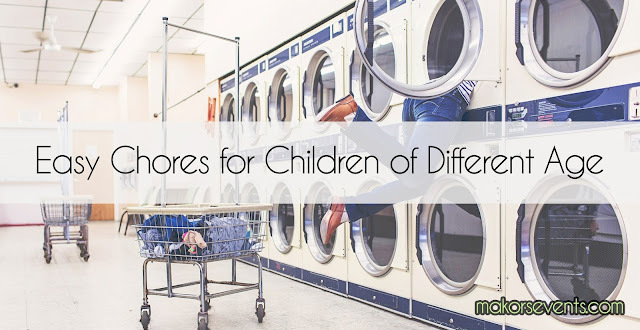 This chores might seem impossible for your child to do but it is possible, only is your never force the child into doing it, allow them to contribute to the household by doing it along side with them. Take time and slow down to teach children how to do these tasks step by step. Children will not do the task perfectly or up to standards, we have to let go of perfection. Take on step at a time, build their skills slowly from the basics. We hope to cultivate the habit of chores and include them in their daily lifestyle, these are not just chores but life skills they have to pick up along the way. Do supervise your child when the execute the chores and some task will need assistance such as tying their shoelaces after they put it on, and cleaning up after brushing teeth.